Has lived in various Southern Ontario communities. My work and interests over the past sixty years are reflected in the categories of this site. Frequently I was engaged in a sector or business that was just emerging. This has provided me with start-up stories and an historical sense to relate to the present and future. -St. Lawrence Seaway Authority, Welland Canal, 1964-1969. Public and Community Relations. Traffic Demand Management. Elected; Niagara Regional Government 1972-1976… Niagara Region Planning Committee…Town and Country Planning. TV/Video productions, 1980-2005. Credits: ecology, sustainable development, agriculture, eco-tourism, cities (Jane Jacobs: Urban Wisdom 2002), artists (Nihilist Spasm Band 2000). Finance Committee member, Canadian Friends Service Committee (CFSC), Canadian Peace and Social Justice organization… 2008 to present. 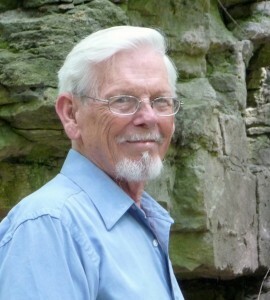 Niagara Escarpment Commissioner , Niagara Escarpment Commission. 2004 to March 2017. The Niagara Escarpment is designated a UNESCO World Biosphere Reserve.